Wickside is a 3.4 hectare canalside residential-led development on the edge of London’s Olympic Park. The site is a former refuse yard, and the project forms part of the ongoing transformation of Hackney Wick. Wickside will provide around 450 homes and 300 jobs. Absorbed into its urban fabric are a number of existing buildings which will become anchors to a cluster of creative and industrial uses, including a craft brewery, creative co-working spaces and a foundry. New buildings learn from the Hackney Wick typology of semi-public yards. A public park runs alongside the canal towpath. A full planning application for the site was submitted in August 2016. 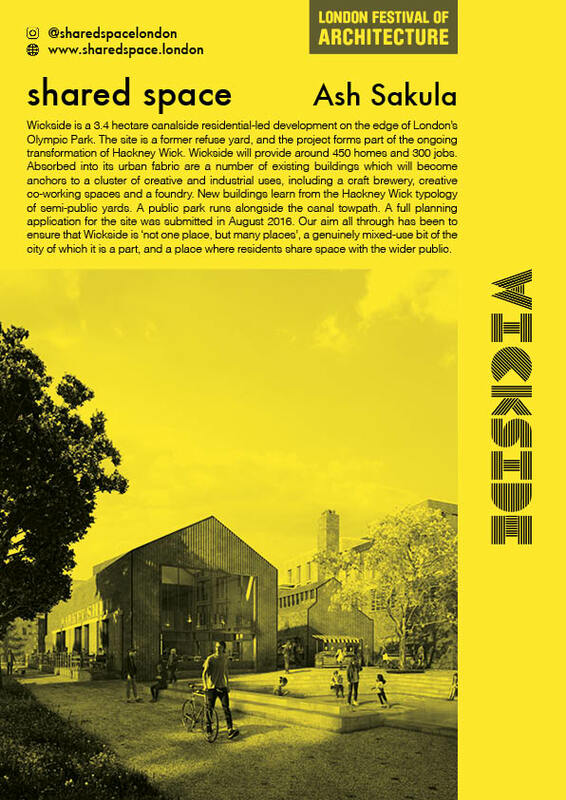 Our aim all through has been to ensure that Wickside is ‘not one place, but many places’, a genuinely mixed-use bit of the city of which it is a part, and a place where residents share space with the wider public.